There’s no bigger enjoyment or thrill when it comes to gambling, the thought that you could change your life forever – but knowing when to stop it vital. Most people set themselves budgets based on the amount that they can afford to lose and don’t play any more, but there are other people who get carried away and bet far more than they can afford. You should recognise your limits and know when to stop. 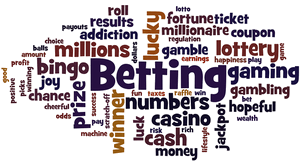 Problem gambling is also referred to as gambling addiction or compulsive gambling and is the urge to continuously gamble despite the harm it is causing them and other people around them. ‘I’ve been playing this slot for so long now, it must be ready to pay out’ that’s just one phrase I have heard over and over again and this is certainly not true. Many people chase good money with bad money in the hope that they will win, but the vast majority of cases they don’t! If you start noticing you are aggressive when you lose money or feel that you need to escape life by gambling, then it’s time to take a step back and realise you have a problem. To stop you spending more than you can afford, you can open a bank account that only offers a debit card facility. Use this for gambling and then you can only spend what you have in that account at any one time. This stops the urge to gamble more than you should. Online casinos and betting sites are there to take money from punters, but saying that, the vast majority don’t want you gambling too much and have put in place various things that can help you when it comes to gambling too much. One of the systems is self-exclusion that can last anywhere from 24 hours to permanently. The vast majority of gambling websites have a self-exclusion system that allows a player who thinks they are gambling too much to exclude themselves from the site. You have the ability to choose how long you wish to be excluded from the site. Self-exclusion is a great benefit but one downside is that if you normally play at more than one online gambling site, then you will have to go around all of your sites and self-exclude yourself from each and every one. Another disadvantage of self-exclusion is the fact that it doesn’t stop you opening an account on other sites – it’s just excludes you from that one site. Pretty much all online gambling websites allow you to set your own limits – whether that be deposit limits or betting limits. You head to your account section and follow the onscreen instructions. This route doesn’t always work for all however as you still have the ability to increase your limits at any time. Once you’ve changed your limit there is generally a period of at lease 24 hours in which you can’t change your limit again. The company is a registered charity and has a team of dedicated and experienced professionals who are waiting to assist you day or night. If you can’t stop gambling, there’s an option to use blocking software. This is software that limits your access to websites or other services on the internet. Using this software will stop you opening gambling accounts and spending money you cannot afford. Some blocking software is free and others have a charge, so it’s best to do your own research, but one of the most widely used and recognised blocking software providers is Netnanny. Netnanny is compatible with windows computers, iOS and Android phones. If you won a Mac OS X or Windows you can also use Gamban. There are a handful of sites that are there just to take, take, take and have been known not to support players when they’ve asked for self-exclusion. If you encounter a problem with any online gambling website, you can contact the Gambling Commission – it’s their job to ensure that the gambling site is sticking to the rules and help players who think they have a gambling issue. The Gambling Commission will step in and get the site to do more than it is to help players who have been let down. If the gambling sites are not complying with the Gambling Commission on all aspects of gambling, they may lose their license. All betting websites that we promote are fully UK licensed.